In a world where this is the reality of far too many kids in the west. And in a country where government is seen increasingly as the root of all evil. 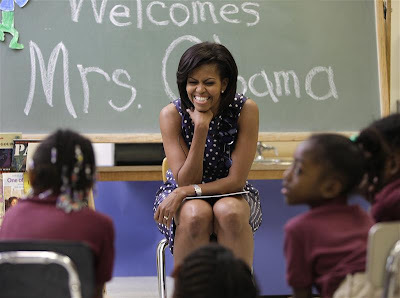 And in a world where the First Lady's involvement in childhood obesity prevention is a political handicap comes this. 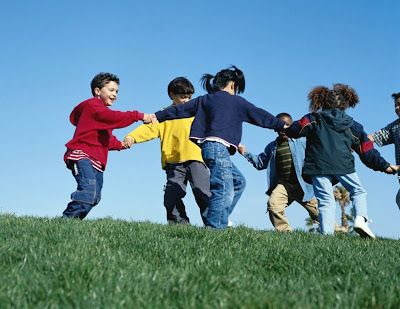 A suburban, pseudo-governmental Homeowner's Association Volusia County, FL has decided that it's in the best interest of its residents to ban kids playing outside without adult supervision . Every scofflaw who lets his or her kids play outside without adult supervision or who dares to let those kids play tag will face a $100 fine. Persimmon Place is holding a final hearing on 4/27 and for the life of me I can't find a link to that HOA. If anybody does, leave the link in the comments below, I'd love to give them a piece of my mind. I grew up in a small town without the benefit of an HOA. My grass-stained summers and impromptu games of Kick the Can or Fox and Geese gave me a foundation I rely on to this day. Those neighborhood, spontaneous games are how I learned that other people lived lives different from mine and it didn't matter. We were seven, or 10 or 12 and all that mattered was that we were kids and it was summer and the nighttime world was ours. Without a doubt, our parents were thrilled with the fact that we were outside and not underfoot. We were outside running off our extra energy and best of all they were inside, alone, and with the rare chance to reconnect. 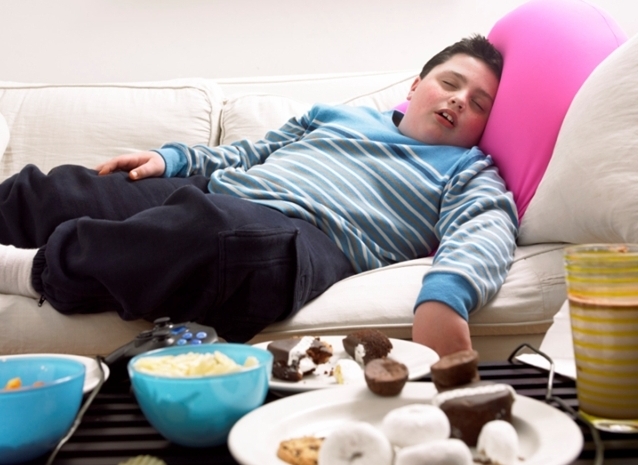 None of us were obese either and the idea of us kids staying in and watching TV was unthinkable. What kind of a neighborhood bans kids playing outside? Has an orderly, suburban facade really grown so important and oppressive that kids don't matter? Hey unhappy suburbanites here's a hint. Come back to the urban cores. We may value such foreign concepts as diversity and sustainability, but we also embrace the idea of kids being allowed to be kids. The vacant lot behind my house is the neighborhood soccer and all-purpose field and those kids are out there 'til all hours. Nobody threatens their parents with fines and the kids get to run off all their extra energy and they learn how to get along. Nobody cares that Jean-Luc's parents were Haitian refugees or that Angus's parents are professors at the university. So what if Alain's from France and Pilar was born in Spain? Who cares Mohammed's family is from Libya and Darrell's mom was born in the 'hood. All that matters is that they're the same age and Jim (whose dad is a city maintenance guy) has a soccer ball. Paul, we've had a number of communities in Canada try to ban street hockey. They were all unceremoniously laughed out of town, but it's becoming all too common. It's a combination of NIMBY and absentee parents. Bottom line: they want to have their cake and eat it too. I just don't understand where this fear of kids comes from. What kind of a community doesn't let kids run free? That's crazy! Is it a senior community? One of those ones that don't allow children to spend the night? I let my older son roam the neighborhood with a walkie talkie from about 7 til he got a cell phone. There was only one time where there was an issue with his lack of supervision status. He and his friends had been playing "bike tag"(stupid, I know,) and he had wiped out and gotten a nasty road burn. A neighbor from a street over carried him back to the house. I hope someone finds the link for you. It's not a senior community at all, it's just a run-of-the mill townhouse community run by tyrants. It's time to explore urban cores again. I wish I had a dog in this fight, but where I grew up we couldn't see the closest neighbor's house from ours. I couldn't imagine my parents having to keep an eye on us playing outside. Actually as long as it was daylight, my mum MADE us stay outside. Ha! All I smell is more brownies baking and the cost of healthcare going through the roof. I grew up in a town but I remember well my Mom demanding that we go outside and play. Now that I'm an adult I understand why. What would possess an HOA consider something like this? Who in their right mind would continue to live in a place where rules like this one are even considered? Madness! 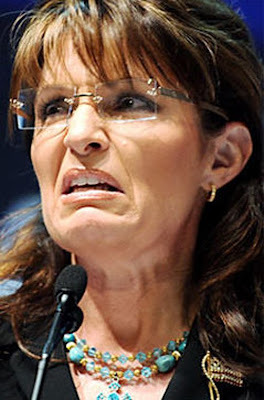 Stupid and shameful and besides, I wanted an excuse to run that photo of Sarah Palin. How dare Michele Obama try to change the course of kids' health? Kids need the freedom to be obese and develop diabetes on their own. It's in the Constitution, right? I have a 7 yo, a 5 yo and a 3 month old baby. My 2 kids play outside all the time. I know the world is a "dangerous place," but come on! I have nothing intelligent to add to the conversation, just dismay. Going to repost. What's wrong with people? Kids need to be outside and they need to skin their knees. Furthermore, they need their parents and their parent's peers to let go and let them be kids, skinned knees and all. SO SAD... KIDS ONLY PLAY WHEN THEIR PARENTS SCHEDULE IT...OR I GUESS REGULATE IT.... AND WE WONDER WHERE COURTESY, SPORTSMANSHIP, FRIENDSHIP, IMAGINATION, AND RESPECT FOR OTHERS HAVE GONE... SO MUCH LOST IN JUST ONE GENERATION... MAYBE Wii FITNESS WILL COME UP WITH STREET HOCKEY AND SAVE THOSE KIDS..
so sad, and these same children will all grow up to be paranoid xenophobics, afraid of and uninterested in life outside their bubble of safety. Maybe they're just trying to make up for HOA debt. It's how we make money in Chicago--fines & sin taxes for everything! Lambs led to the slaughter by the likes of Sarah Palin and Michelle Bachman. All of 'em wearing promise rings and afraid of anybody who doesn't look just like them. I don't get it either and I live here. This is just outrageous! I grew up on the front edge of 80 acres with very few neighbors. My cousins did live next door and I can remember numerous times being told to go outside and play! Fast forward to when my own children were growing up, the only time anyone had an issue with the kids was the time my older daughter and her cohorts, roughly ages 10-11, decided to "liberate" the squirrels from the neighbors traps in his pecan orchard. This became known as the "Mr. McGregor's Garden Incidence" and everyone learned a lesson and no one got bent out of shape over it. I know that HOAs do have a useful purpose but this is just carrying things way too far. I don’t know, man. I was born in 1945, so you can do the math, but growing up in Helena, Montana, we all played outside every day pretty much. Even in winter unless it got ridiculously cold. My wife always thought I was exaggerating when I said that we walked six blocks to the edge of town. It’s because she’s a native Californian and has lived all her life in big cities, but the population of Helena was only 28,000 then, so lots of kids could say the same thing. There was a pond three miles from the city that we called a lake. A few years ago I visited the city with my brother as a kind of “old home week” type thing. That pond is now surrounded by people with expensive homes and is fenced and private. But when we grew up, there was nothing but the pond and a dirt road leading to it. In the summer months, as kids of ten or twelve years old, we often said to our parents, “We’re going to Coxer’s Lake. See you tomorrow.” And the times and the location were such that we always got permission to go, and our parents never gave it a second thought. In our neighborhood here in San Diego I often see kids playing ball in the street. We’re childless, but I believe whole heartedly that kids should be able to do that in a residential neighborhood like this one, so I make it a point to just creep through the neighborhood when I’m driving whether I see kids or not. The greatest sound in the world is the laughter of the kids in this neighborhood. That’s how it’s supposed to be—not cramming them in a house because some old fuddy-duddy (NOT ME!!!!) thinks they make too much noise! @Nick We ALL have a dog in this fight. @Paul All I can say is WTF?? WTF?? WTF?? WTF?? WTF?? WTF?? WTF?? WTF?? WTF?? WTF?? WTF?? WTF?? WTF?? WTF?? WTF?? WTF?? WTF?? WTF?? WTF?? And I'm still saying it. I grew up in a working class neighborhood of St. Paul. There was a biker bar on the corner, another bar around the corner, and two bars on the facing corner. There was a playground two streets over where drugs were sold and BN train tracks over yonder past the baseball fields. And we got kicked out the house at sunrise and let back in at sunset during the summer. Lying around watching tv and playing video games was not an option (they weren't invented yet and the TV had 3 channels). But we also had bikes and an empty lot two houses down, a couple of "borrowed" bats and balls, alleys and active imaginations. Call my parents irresponsible for exposing us to all those dangers, but you're there in the middle of it, ain't all that dangerous. Now, I dunno, but in a private HOA??? Really??? How many bars in the guardhouse by the white fences lining the gold courses?? Irritating how small government can get to slide themselves under our thresholds undetected. If I lived in that neighborhood I'd owe the HOA a million dollars at least. My 4 almost 5 year old loves to wander around outside by herself. (I keep an eye on her through the window in case anyone thinks she's too young to be doing this.) It is so enjoyable for me to watch her play outside - pick up sticks, lay on the grass with the dog and stare at the sky... In Indianapolis our neighbor had NEVER let her 5 year old play outside by herself. It disturbed me greatly. My daughter loves to put the leash on our lab and then tie the leash onto her babydoll stroller and then make the dog walk around in the driveway with her. The dog tolerates this behavior like a champ, she is very gentle. I asked my husband one day while we were discussing the neighbor never letting her daughter to be outside by herself, "How is a child going to learn to tie their dog to their babydoll stroller if they are not allowed to be outside by themselves?!?!" Ha! Rufus, I don't know how it is around the rest of the states but in Florida, an HOA has some pretty spooky, legally binding powers. Heaven forbid the government should set efficiency standards for toilets and lightbulbs but when an HOA bans flag-flying or kids playing unsupervised and it's A-OK, at least it's not the government. Idiots. Sharon: I love that story. Exactly. I cannot imagine a neighborhood regulation that would prohibit kids playing. I still can't find a link to that HOA but believe, me when I do I'll share it here.